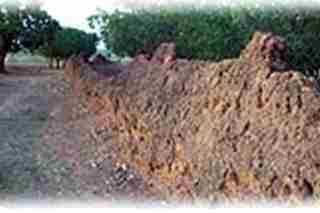 Northern Region is the largest region in Ghana occupying a land area of over 70,000km. This region is a place of immense natural wonder and artistic beauty. These features make the region a favorite tourist destination. the capital city of the Northern region. Bordered on the north by the Upper East and Upper West regions of Ghana, and on the East by Togo, and on the West by Ivory Coast, the northern region is a great transit point with a huge market potential. If you are from a rather cold climate and you need some warmth to keep you going, then the northern region offers just the right amount of sunshine to keep you warm and fresh. Being a land logged, the region compensates for not having a sea, with a wide arrange of great lakes and lagoons which are just a natural wonder. It has five tributaries of the Volta Lake passing through, namely the River Nasia, River Oti, River Daka and the wondrous Black Volta and White Volta. With its land size which can wholly swallow Accra, Volta, Western and the Ashanti regions of Ghana put together, one wonders the population density of the region. Well surprisingly enough, the region has a mere 2 million population which is even less than that of Accra. Feel like Exploring something unique, then Welcome to the 13th Century built Larabanga Mosque! Yes it’s still standing and very strong. 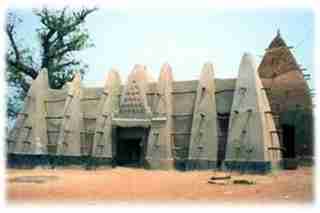 Believed to have been built by Moorish traders, Larabanga Mosque is one of the Holiest sites in Ghana. But don’t worry, you are allowed to explore it and take pictures. 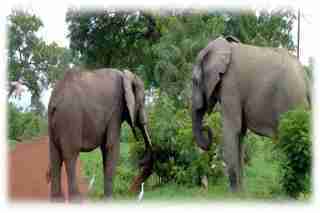 If you are in the mood for some wildlife adventure, then join me as we go to the Mole National park. 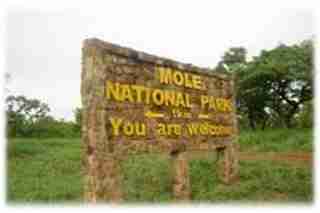 Believed to be the home of over 93 animal species, the Mole National park is a great safari adventure. with herds of Elephants streaming through and the occasional sighting of Lions and Leopards resting in the warmth, canopied by over 300 bird species, this place is really and adventurer’s adventure! Feel like playing detective? 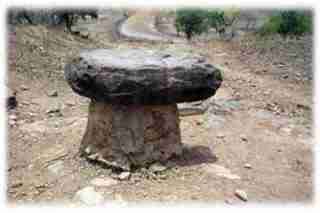 Then hop on as we go investigate the mystery behind the mysterious Larabanga Mysterious Stone. This boulder which is subject to numerous local legends and folktales is still a mystery unresolved. I think just the site of it makes you forget about its mystery and just focus on its beauty. Maybe it’s a charm, but if it is then it’s really a charm with beauty. The region is home to a great historic aspect of Pan Africanism. The Salaga Slave Market is a place that brings you into terms with what transpired during the slave trade. The SLAVE WELLS, SLAVE SHACKLES and SLAVE CEMETERY just tell you what books cannot describe. Its an experience that would change your perception about life and humanity. If you have a knack for history and roots, then this is the place to be. Feeling for some warrior adventure, then lets go and try our best at climbing the Still Standing 16th Century built Nalerigu Defense Wall! Built to protect the people from slave raiders, this wall is really a sight to behold. You might even get a chance to scale the wall. Thinking of getting a souvenir to take home with you, then let’s just take a quick detour to Daboya the 16th century town 89km west of Tamale. Daboya is known for its incredible artifacts of hand made textiles which are of great quality and splendid texture. If you are in time for the celebration period then you would love the Gobandawu Festival (Yam Festival), celebrated to mark the harvest season of yam in the region and the most intriguing part of the festival is the giving of gifts to friends and family and funny enough the gifts has to be Yam and a guinea fowl! It’s such an incredible experience. The region has over 100 hotels and guest houses, which are highly rated with affordable rooms, great food both local and continental, internet access and great customer service. There are transport services to take you anywhere you would want to be.